Here it is finally - our new Easter/Spring collection! Sorry for the delay, it was meant to be launched last week but I have been awfully busy contributing to an upcoming polymer clay charm book. The weather today was cloudy (as it usually is) but I managed to get some new shots. Do expect more photos featuring all these new Easter items in the coming weeks. Everything featured on this entry can be found in the Seasonal menu. But before we check out the new Easter items, I would like to wish all of you a Happy St. Patrick's Day. The girls managed to make some new St. Paddy's Day-themed treats for the sweet shop. 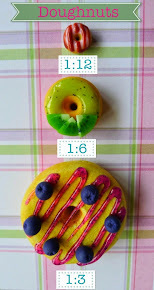 You get this cookie for free when you request a commission worth above £15 (valid until this Friday only). Easter cookie hamper. Comes with 4 iced sugar cookies in a wooden plant pot painted with Laura Ashley paint. Each bunny is completed with a twine ribbon. 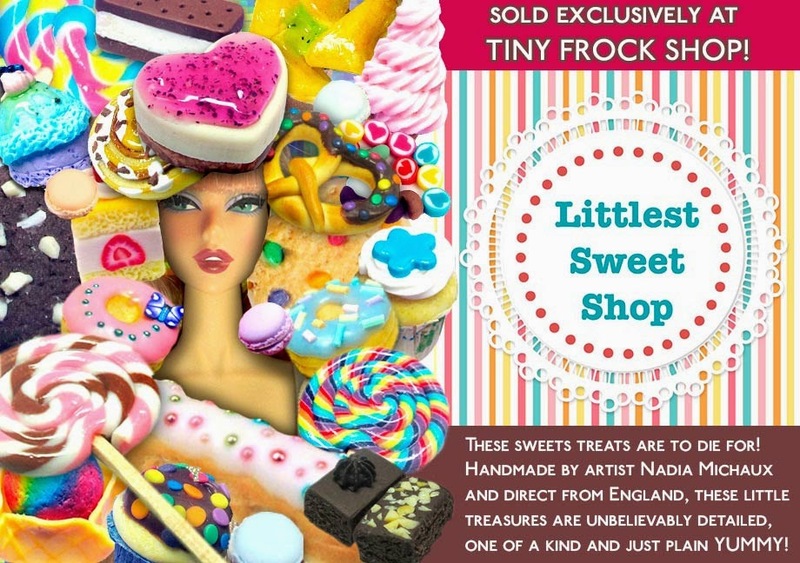 And another big announcement - You can now buy Littlest Sweet Shop 1/6 scale sets directly from Tiny Frock Shop! The website is based in the US (but ships internationally) and currently sells limited edition sets that are one of a kind! I only accept commissions so this is the only official store-front for Littlest Sweet Shop miniatures. Click on the banner above to get some new treats for your dolls! Phew! That's all for tonight. I will be updating some new arrivals next week!